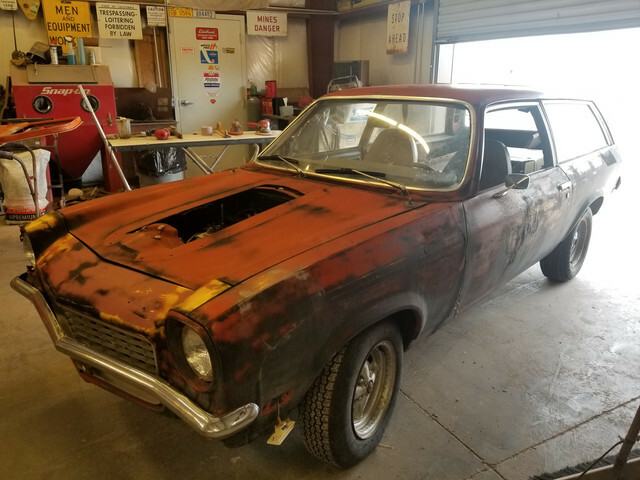 I have finally got my first project car. 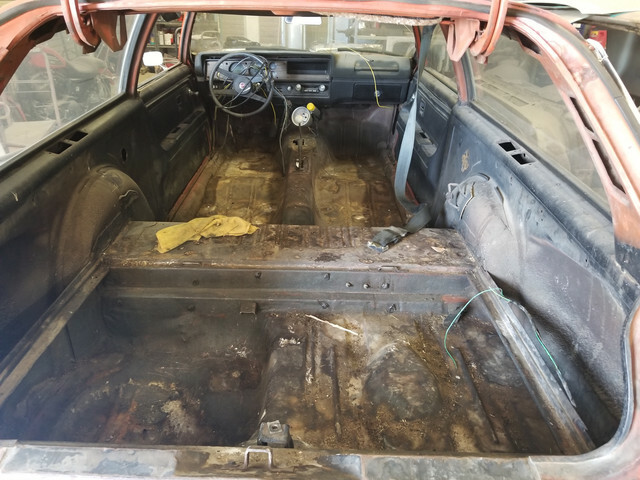 I've grown up around many mechanics and bodymen, I'm no strangers to shops or tools, nor am I afraid to get dirty under a hood, but I just didnt feel I had the prowess or the true skills (and lack of serious tools) to get a project car to where I would want it to be. 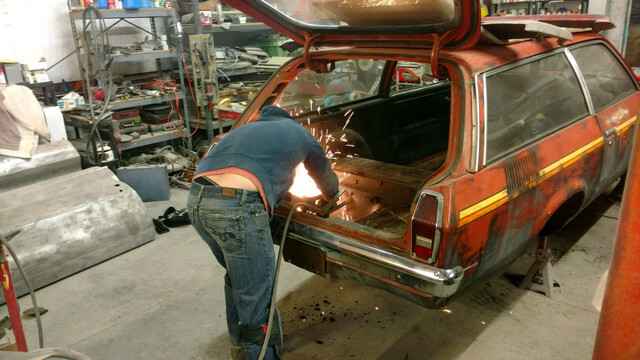 I am a programmer by trade, and I just like to tinker with cars. Well, my girlfriends dad has had this vega sitting outside his shop for the longest time, and I finally bugged him enough to take me for a ride in it. I was hooked and I had to have it. I got it for 1500 running and driving with the promise that I will make this wagon an "old-school" racer (with his help). And I will definitely be needing his help! Thankfully he is a seasoned mechanic, welder, and fabricator with a full shop at my disposal. The stars seemed to align for me, so I dove in head first. 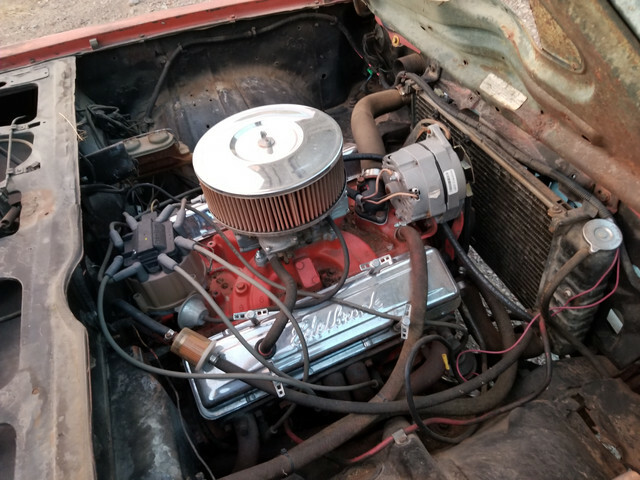 The car was saved from the previous owner who was going to make it a "rally car", and he bought it from someone who already did the v8 swap with a rebuilt 350. Bored 40 over, hydraulic lifters, new pistons, and a holly 4 barrel sitting on top with a 4 speed. 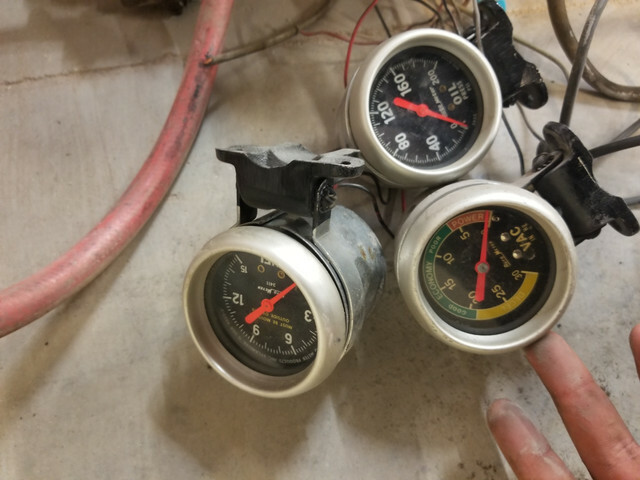 Car was running and driving with everything else "stock". Now I hope to have this as a fun car to go rip around the city and make some noise, and to take it to the strip. 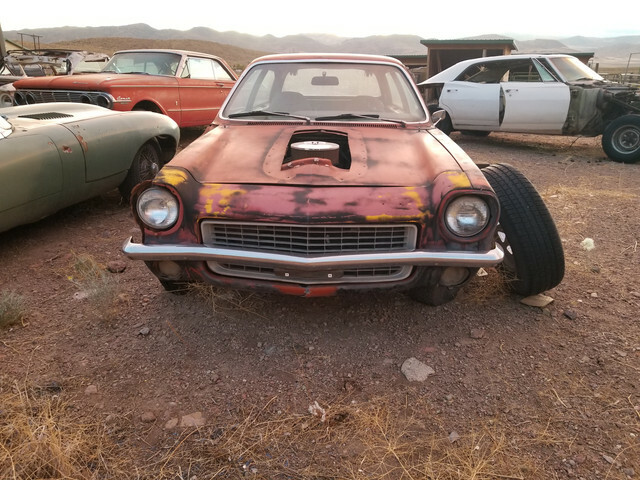 We plan to restore and repaint the exterior to its original color and hopefully if we can source some NOS stripes for it, I think I'm going to have a very fun and unique car with a good platform to start from. -Custom fiberglass nose, and a custom hood with the "grump lump". (We have secured a place that can do the job, but thats down the road). -Go over the front suspension, new rubber and bushings take care of any problems there. -Go over the car as best we can with the engine still in it, we want to avoid having to take it out but if we have to we have to. I'm doing all of this in my spare time on saturday mornings, plan to make steady and constant progress. 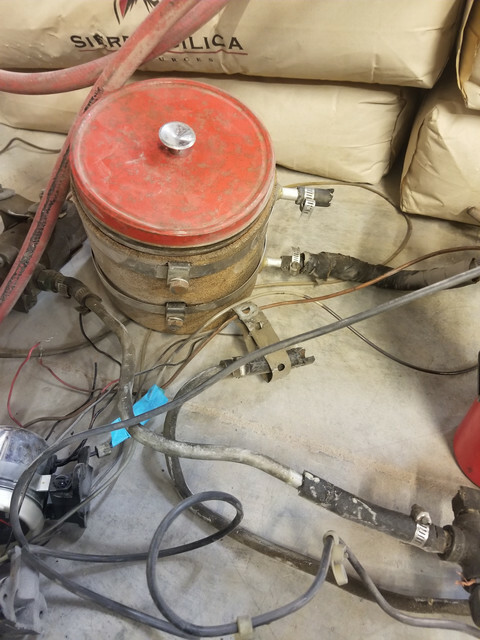 We also got a dual battery harness and a fuel pump ready for the new tank! 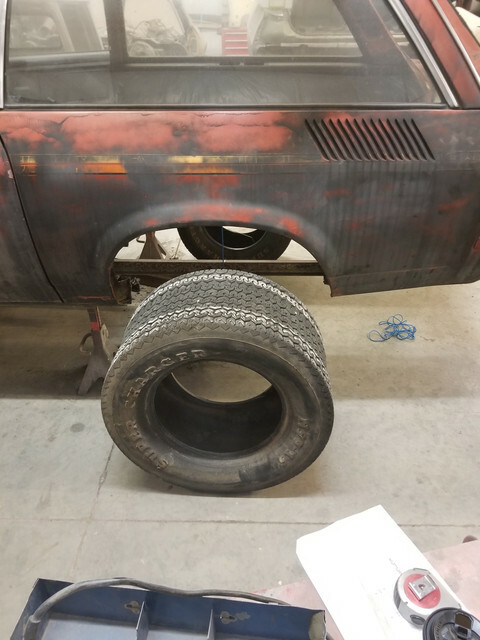 I also got the stock rear end and fuel tank out. 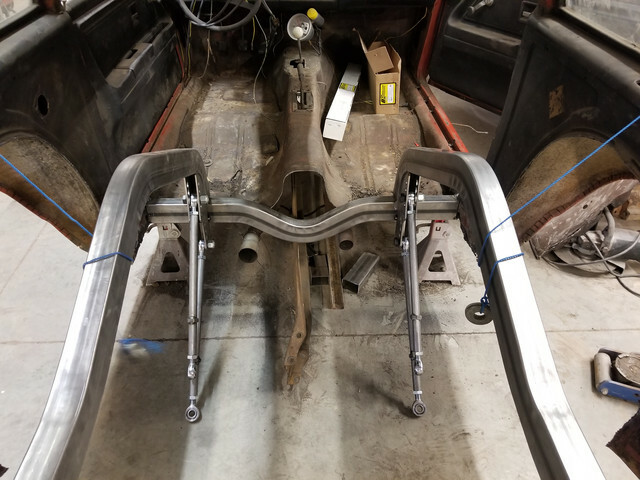 Next week we begin cutting out the floor and start taking measurements for the new frame rails and suspension we will be picking up from summit racing. Thank you all for reading, I will post pics as progress is made! Last edited by gaintrain on Sun Feb 11, 2018 3:30 pm, edited 2 times in total. 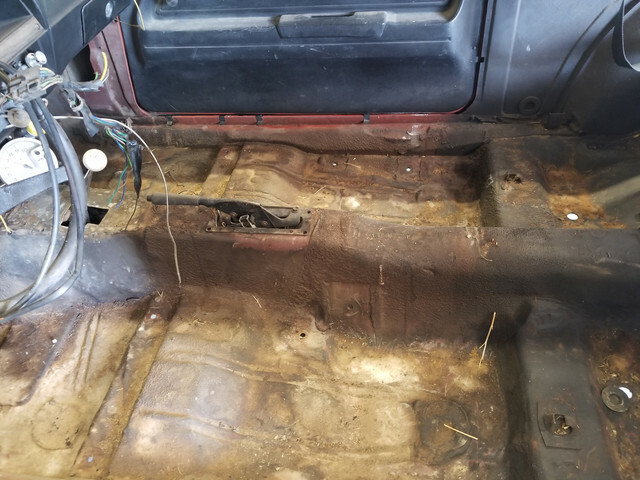 Got to work cutting out the floor and the wheel wells, plasma cutting is alot of work/fun? hehe. Here is some progress. 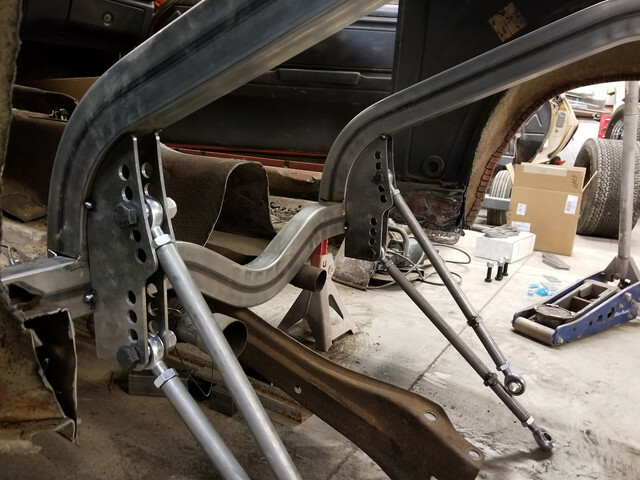 Next week we are off to summit racing to get some metal and frame rails. Welcome and good luck on your project, looks like a great base to work from. Changed the thread title for the new nickname for the car that came to me. Will have more to share next weekend! Thank you all for the encouraging responses!!! But in all seriousness the metal and all the parts from this kit are solid, A+ parts. 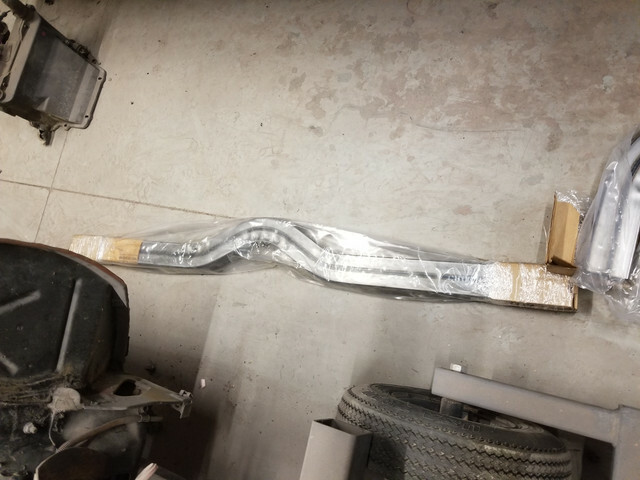 The frame rails and cross member are very nicely bent with no folds or waviness in the metal. 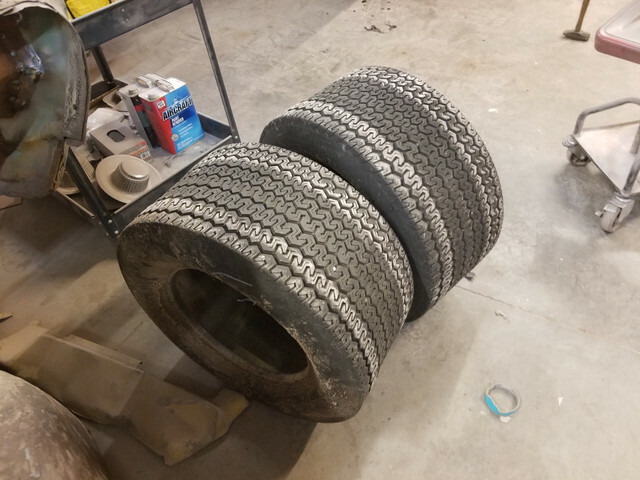 Pulled some old hot rod tires out from the shed for measurements, were going to build the rear end around 12 inch wide slicks with 10 inch rims (pics below). We decided this set up should be plenty to handle any upgrades in the future once some proper slicks are put on it. Otherwise today was all about measuring and cutting away the last bits of metal to get the frame-rail in. 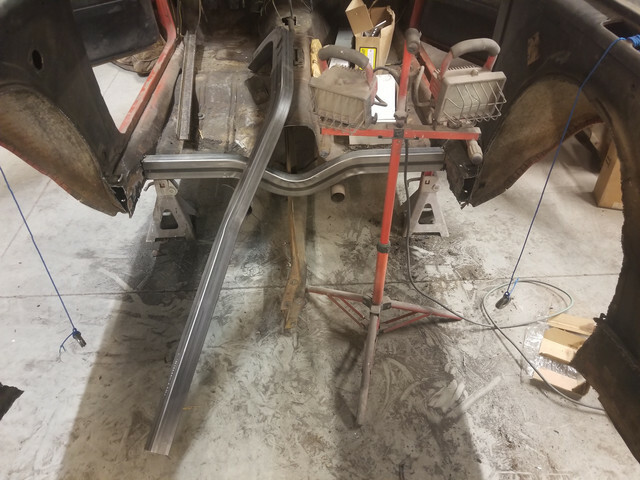 Nothing to really show, but heres a few pics of the frame rails and tires. 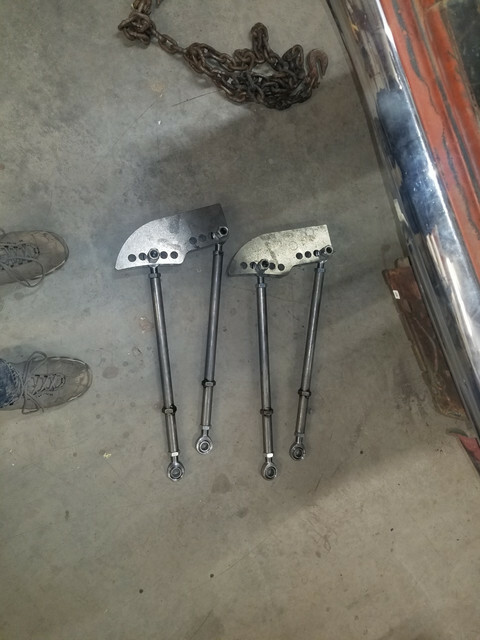 Next weekends agenda is to tack the cross member in, do some detailing and grinding, and notch and cut the frame rails to size. More to come next week. Stay tuned! but looks like you are fully capable of doing it. you have got a good start. it will be cool when done ! Sorry for the missed post last weekend, but we did make some progress! 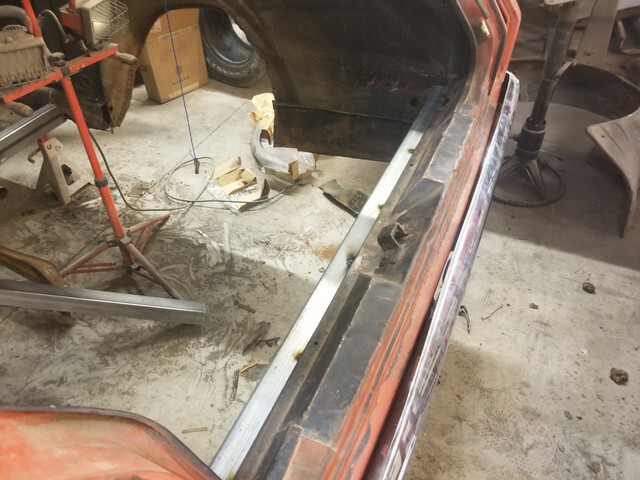 We ended up getting the frame rails in! We also figured out our length of axles that are going into the shortened 12 bolt. If memory serves we will be shortening our current 12 bolt housing to a 46 inch rear end. Now I need to give Moser a call and get those axles ordered. In the mean-time I will be preparing to fit the roll cage! Had some family come into town and it cut into some of the work time for the project. 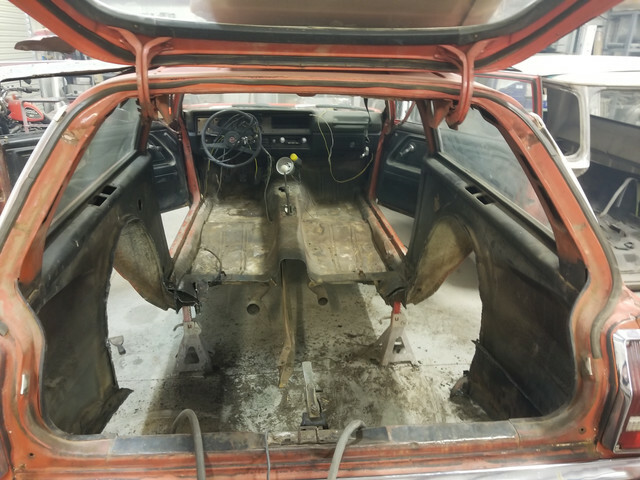 We are currently fitting a roll cage into the wagon, and in process of removing the dashboard to get the roll-cage properly fitted and measured. Will update with pictures when there is more to report! looks like your on your way to a nice little wagon when done, keep up the good work. Hi all, no pictures yet, but we did make some progress. 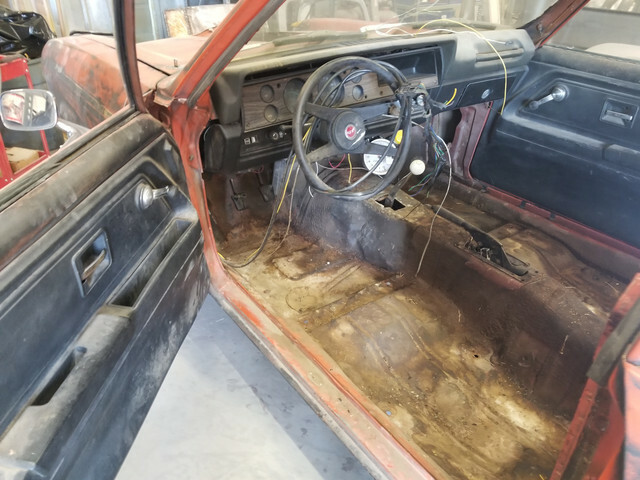 We removed the dashboard/gauges. Wiring harness is a complete mess, so thats gonna be junked. Were thinking we will just do a flat piece of metal across the dash to mount the gauges and switches to run the car. 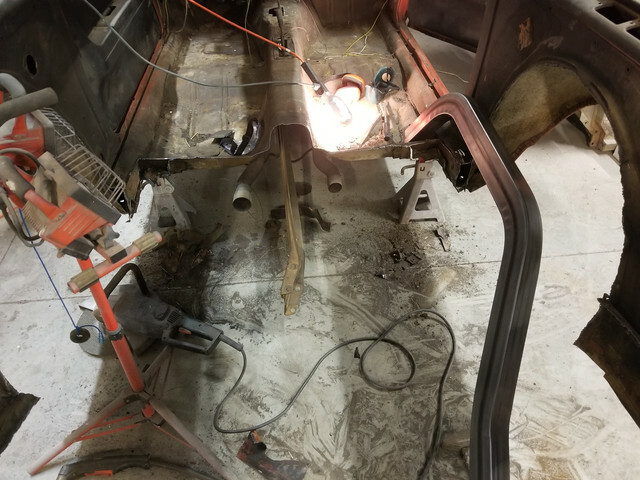 We cut into the remaining pieces of the dash to make room for the roll cage along the a-pillars. The roll-cage that we have came out of a camaro and it is a surprisingly close fit for the Vega. 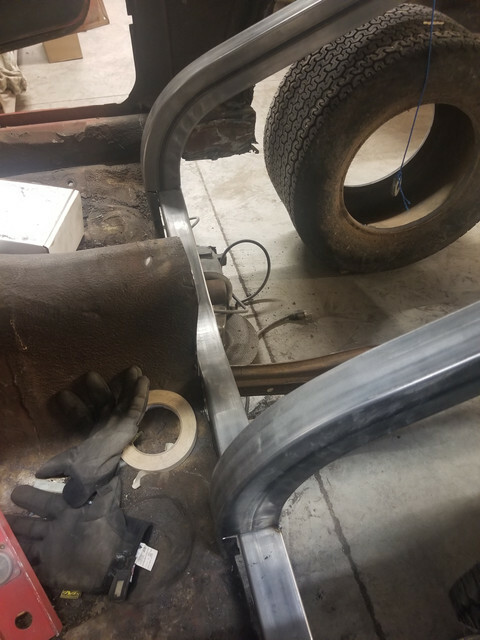 We are currently grinding/cutting and cleaning up the cage to get it fitted and welded in. Will get more pictures once its in!! Sorry for the lack of updates - life gets busy. But making some progress and will have some pics soon. 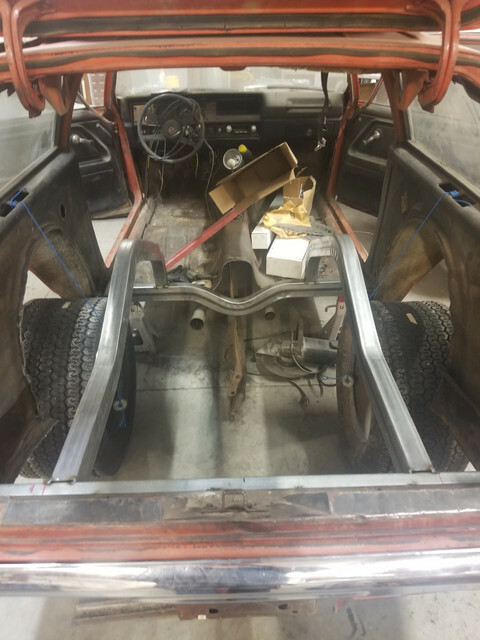 We sandblasted and fitted our roll cage, and we are preparing to tack it in. Will post pictures as soon as I have something to show. After the roll cage its off to the rear end and getting it back on 4 wheels!